What are some of the benefits to food safety training? There are many benefits to training: increased business growth, less employee turnover, and increased overall customer satisfaction. Does every state require food safety certification? No, however many counties within states that have voluntary certification, actually require certification. Please contact us if you would like to know if your county or location requires certification. What is the difference between a Food Manager Certification and a Food Handler Card? Though terminology may vary depending on the state or county where you work, the Food Manager Certification usually refers to a more advanced, more comprehensive type of training that is mainly designed for owners and managers. The general rule is that at least one person per business must have a Food Manager Certification, and that person has to be actively working there. In California, for example, the Food Manager Certification designates a state requirement mandating that at least one employee or owner per food establishment passes an accredited food safety examination, whereas the Food Handler Card refers to a less comprehensive training that is mandatory for all employees who come in direct contact with unpackaged food. Other states, however, use the term food handler certification to refer to the food manager certification. For information specific to the state you work in, please contact your local health department. What is a Food Handler Card? 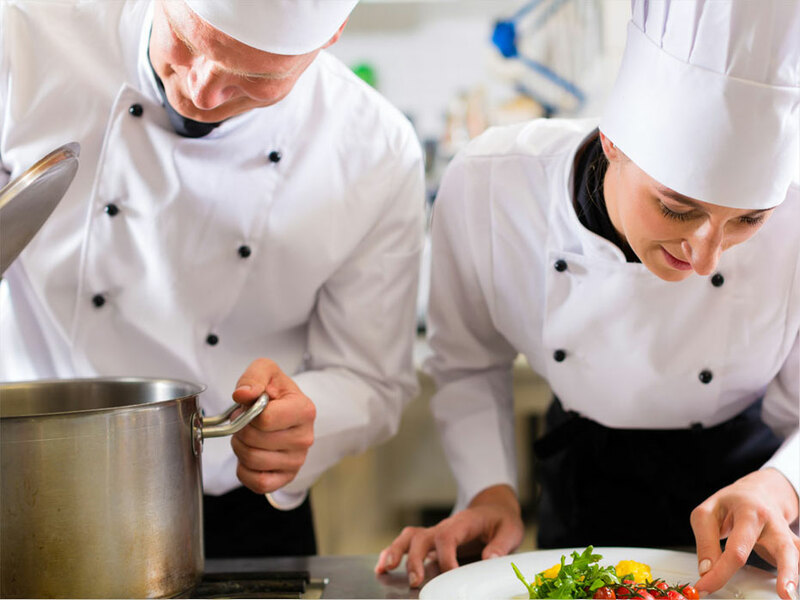 The Food Handler Card is a certificate issued to food service employees that complete the Food Handler training offered by Premier Food Safety. Food Handler Online training is currently available for the states of California, Florida and Texas, Kane County in Illinois, Kansas City, MO, and Anchorage, Alaska. Do Your Offer Food Handler Online Training for All States? We currently offer online food handler training courses that are accepted in the states of California, Florida and Texas, Kane County in Illinois, Kansas City, MO, and Anchorage, Alaska. For specific information regarding certification requirements for each state, please contact your local health department. The duration of the online course varies depending on the Food Handler Training course you choose. Online training programs for different states and counties have different requirements. I am a Food Manager or employer and would like to pay for my employees’ training. What training options are available? We offer group discounts for the online training course. As an administrator of an account, you are able to monitor the progress of each one of your employees and have access to their Food Handler Certificate. For more information please call 1-800-676-3121. I need to get my Food Handler Card but I do not have a computer, what can I do? When will I get my Food Handler Card? You will be able to print your Food Handler Card as soon as you finish the training and pass the final exam. What if I don’t have a printer at home to print my Food Handler Card? If you don’t have access to a computer with a printer, you can still take the training online and, once you have passed the test, we can mail a printed copy of your Food Handler Card for an additional fee of $5. Computer Hardware - Either a Personal Computer (PC) or a Macintosh running Windows 2000 or XP. An E-mail Account – Click here for instructions on how to set one up in 4 easy steps. Internet Connectivity - A high speed internet connection (cable modem) is strongly recommended. Google Chrome Browser (recommended) - Click here to download for free. Adobe Flash Player - The latest version of Adobe Flash Player can be downloaded for free by clicking here. Adobe Acrobat Reader - Click here to download the latest version for free. Speakers for the online course's audio are optional. A printer is highly recommended, since you will need to download and print the Certificate of Completion for the Food Handler Card Training. Who must be certified as a food manager? All restaurants, grocery store, convenience market, delicatessen, hot food truck, refreshment stands and commissaries that prepare or serve unpackaged food must have an owner, manager or an employee who has passed an approved food manager certification program. Do I have to be currently employed to take the Food Manager Program? No, anyone is welcome to take the Food Manager Class and Exam. I have a food handlers card, is this the same as the food manager certification? I took the Food Manager Certification Exam in another state. Is my certificate still valid if I move? If you have already passed a Food Manager Examination from a nationally accredited brand such as ServSafe, Prometric, or NRFSP, your certification is valid nationwide as long as it is not expired. However, some states may have further training requirements in addition to this certification. I will be opening a restaurant very soon, do I need to have the food safety certification before I open? This varies by state and county. For example, in California, the health department will give you 60 days to get certified. At Premier Food Safety, we will take every measure to have your exam processed and certificate sent to you within 4 weeks of your testing date. This differs for each state. Please check your state information or contact your local health department for more information. Also, please note that the certificate holder is certified, not the establishment. If that person leaves your company then you will need to hire another certified manager for the establishment. What is a major reason for food safety violations? The majority of food establishments incur violations due to time and temperature abuse such as leaving food out at room temperature or not having the refrigerator at a low enough setting. Premier Food Safety offers training that meets and exceeds food safety guidelines. Anyone can get certified in four easy steps. Self Study at home and proctored Prometric Certification Exam at one of our testing centers. Set up a Prometric Food Manager Exam appointment time *2HR slots are available Monday-Friday from 9AM-5PM and are based on availability. We offer the ServSafe Certification Exam and the Prometric Certification Exam. ServSafe Exam at a public instructor-led class. Choose from any of the following packages. $99 ServSafe Food Manager Exam Only- available at one of our public instructor-led class locations; must be paid in full before the day of the exam otherwise a $30 walk-in fee will apply. $89 Basic Package - Includes study guide booklet by sent via email and the Prometric Food Manager Exam by appointment. $99 Standard Package - Includes access to online training and the Prometric Food Manager Exam by appointment. $128 Total Package - Includes study guide booklet by email, access to online training, and the Prometric Food Manager Exam by appointment. *2-hour exam time slots available Monday-Friday from 9AM-5PM, based on availability. What is the difference between the ServSafe and Prometric Exam? ServSafe and Prometric are both nationally accredited Food Manager Certifications, and they are equally recognized and approved by the Health Department. Some companies prefer one brand over the other; please check with your supervisor if you are unsure of your company’s requirements. Our concise study guide booklets cover many core FDA food concepts, as well as tips to passing the Food Safety Exam and Food Manager Practice Exams. Many food managers use our practical study resources to learn and refresh their knowledge on essential food safety standards and guidelines. Booklets are available in English, Spanish, Korean, Chinese, and Vietnamese; sent via email. An additional $5 shipping and handling fee is applicable for a hard copy printed and mailed. A self-paced, media-rich learning experience. The course features graphics, audio, and interactive learning exercises, which are integrated to be a highly effective educational learning program. Our online training is widely accepted by a broad range of clients including regulatory agencies and educational institutions and fulfills training requirements for most counties and states nationwide. Duration of the course is approximately 4-8 hours. If students log out, their progress will be saved automatically and resumed once they are ready to continue. Access to training expires after 6 Months. Highly recommended as the most effective and enriching form of learning and preparation for the exam. Class is held with an interactive live presentation by a skilled food safety professional. Classes are available in English, Spanish, Korean and Chinese, depending on location.